Description: Adorable and so sweet! 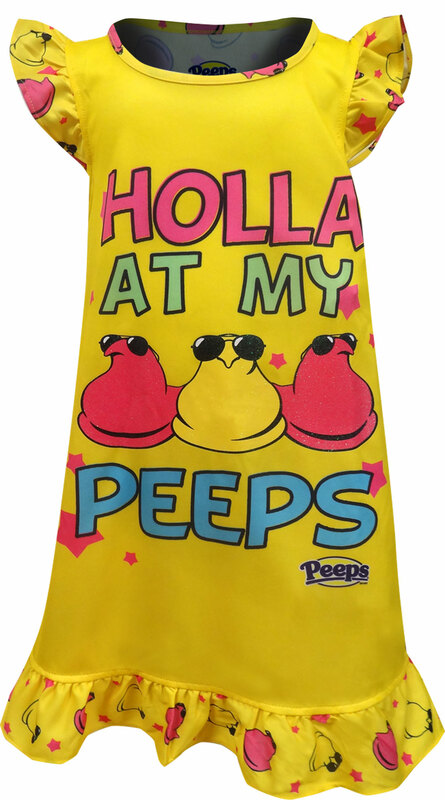 Fans of the yummy marshmallow Peeps chicks will love this nightgown for girls. It features a trio of glittery chicks, wearing sunglasses, and reads 'Holla at my Peeps'. 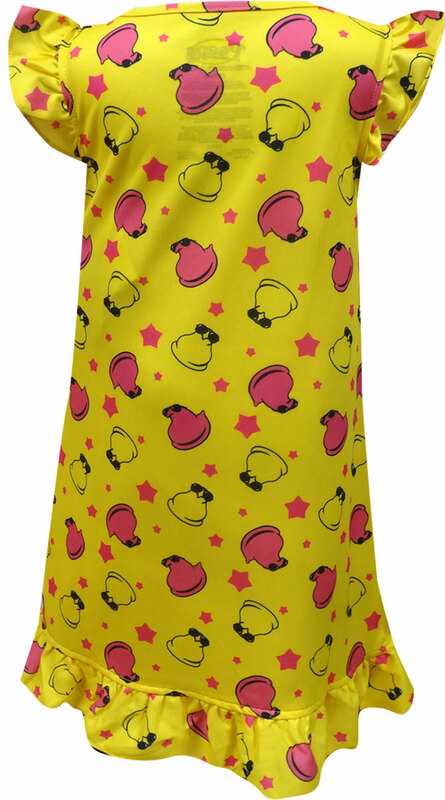 Truffle shoulders and back have an all-over print of yellow and pink Peeps chicks. 100% polyester and 100% adorable!